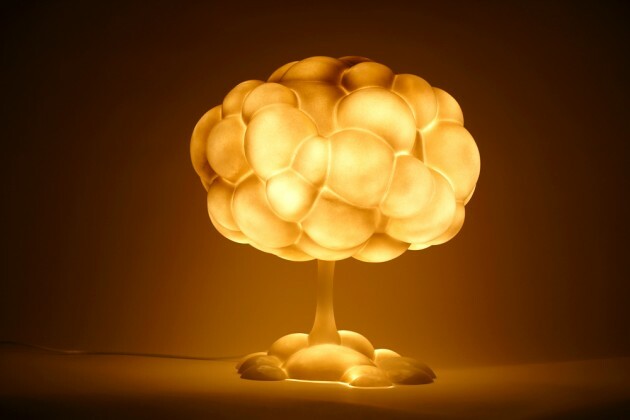 Japanese design studio h220430 have created the Mushroom Lamp. After the end of the Cold War between the US and the Soviet Union, the crisis of nuclear wars was believed to have disappeared. However, even after the Cold War, India, Pakistan, China, and France have continued the development of nuclear weapons. The number of nuclear powers is still increasing and the crisis of nuclear wars has not yet ended. At present, there exist the incredible total of 23,000 nuclear weapons, which are said to be capable of annihilating the whole earth several times over. Under these hopeless circumstances, what we can do to aim for a nuclear-free world is to have concern about this issue, to deepen our understanding, to have discussions and to continue to advocate the elimination of nuclear weapons. 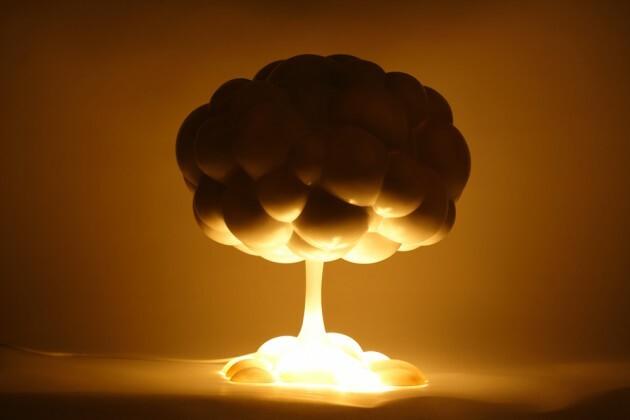 We would like to create a catalyst by incorporating Mushroom Lamp into our daily lives, and to help to lighten the hearts of those who hope for peace in the world.